Okay. So the thing that has never happened before in your life has just happened. The opportunity to plan for this event has closed. No doubt, this will be stressful time regardless of your planning, but our desire is that your thoughts will not be "I wish I had..." but rather "I hope that I've planned well." 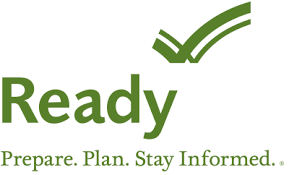 So what are the essential elements of a Preparedness Plan? Make a realistic assessment of the risk to you and your family. When you grocery shop, buy extra of items that you normally eat. If you don't have room in your pantry, store items behind books in the bookcase, under furniture or the back of a closet. Be sure to store the newest items to the back and observe expiration dates and temperature ranges. Trust Your Food: Preserve the food you grow or buy in bulk. ​Whether you grow your own or buy in bulk, learn to dehydrate, de-oxygenate, and can. It will save you money, and you will know the food that's in the containers. You could turn it into a fun family activity. Store for the Short Term: Have some "no cook/low cook" foods that are easy to prepare. In emergencies that result in power loss, conventional cooking may not be an option. If you've done backpacking in the past, you will be familiar with many of the products that are useful here. Store for the Long Term: Have some staples that can be stored for many years. Since the amount of food that you will ultimately need is an unknown, you can deepen your pantry even further by storing prepacked bulk foods that have a shelf life of up to 30 years. Where can I find Emergency Supplies & Equipment? *great prices with no religious test.